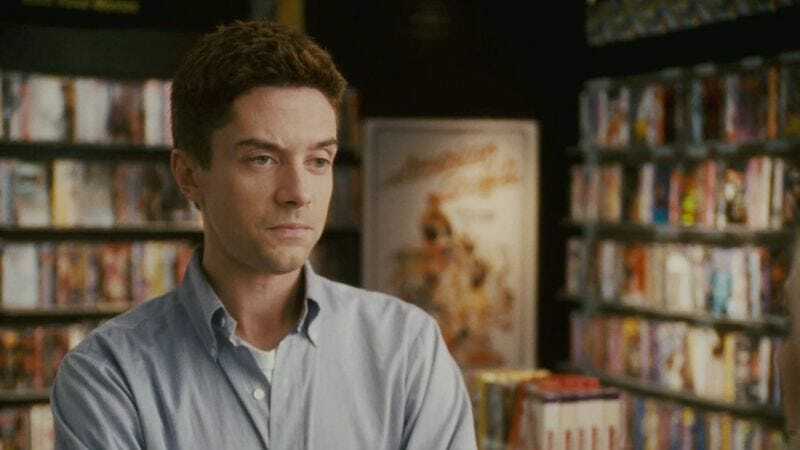 According to Deadline, Topher Grace will be joining Brad Pitt in Netflix’s War Machine, a black comedy film about the war on terror and not—as the name might suggest—an Iron Man spinoff about the character played by Terrence Howard/Don Cheadle. War Machine is actually based on journalist Michael Hastings’ book The Operators: The Wild And Terrifying Inside Story Of America’s War In Afghanistan, and Pitt is starring as a “rock star” general based on General Stanley McChrystal. Grace will be playing Pitt’s civilian press advisor, which should give him plenty of chances to do the affable straight man routine he perfected on That ‘70s Show. We imagine Pitt will storm into some kind of important meeting, say something a rock star would say (“War on terror! Rock and roll!”), and then Topher Grace will come in and say something about being an affable straight man. Of course, War Machine will be a black comedy, so all of this will be happening in the background of some horrible violence.